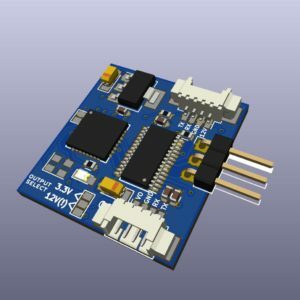 Finally the new SToRM32 NT v3.3 boards are available. More details in the product page. 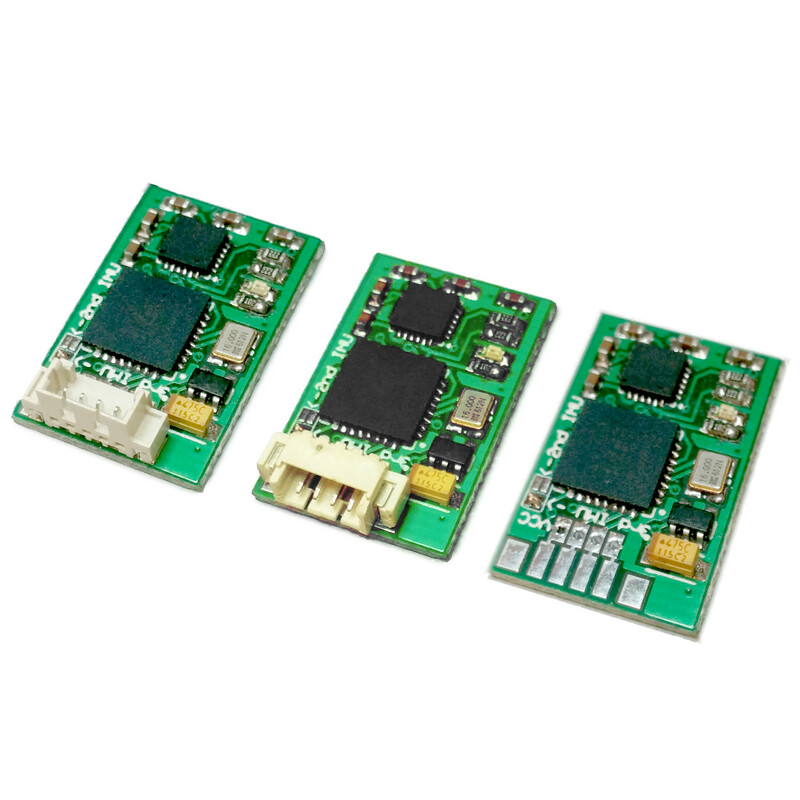 New NT motor drivers are also in development and testing, and will be available soon which will feature 3 brushless motor control in a small package. I’ve created a new product: Directional Moxon style antenna that the customer can customize during ordering for specific frequency and tube length one needs. I’m pleased to announce that I have received new NT Motor driver 2.0 PCBs and really happy on how they turned out. First batch of units are produced and tested for preorders which will be shipped out soon! New NT Motor drivers soon! I’ve been working on new NT motor board design. I’ve reduced the size, made it more streamlined and added a regulator which will allow the board to work directly from 12V input. I also included a selectable voltage output by using a solder jumper, which will allow to pass the power to the next motor module or to pass 3.3V to the IMU module. This will save wires running through the gimbal. I will fix some minor bugs and will run the board to production and will make preorders available in the shop. Hello, and happy new year everyone! I would like to announce that ENSYS is going on holiday from 2017.01.09 to 2017.01.17 so orders made at that time will be delayed. STorM32 WiFi NT logger is the go-to tool to debug STorM32 based gimbals. It records and sends full-speed raw data which is communicated on NT bus over WiFi. Data is collected with ENSYS Host tool. The host tool records data in .log file format which OlliW’s NTLoggerTool can load for analysis. 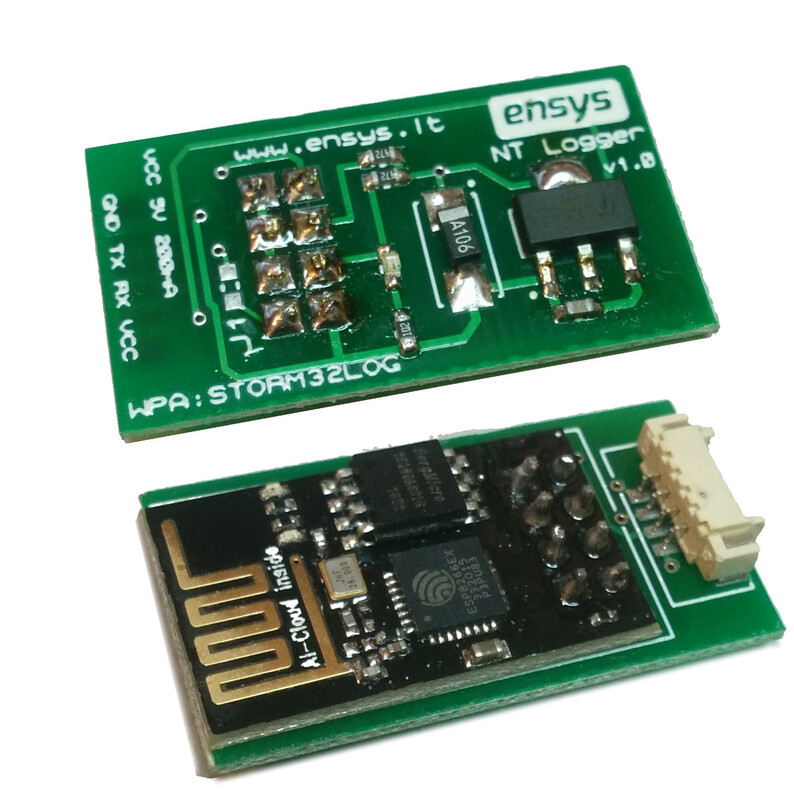 Later versions of NTLoggerTool by OlliW will support real-time streaming from the ENSYS NT logger. 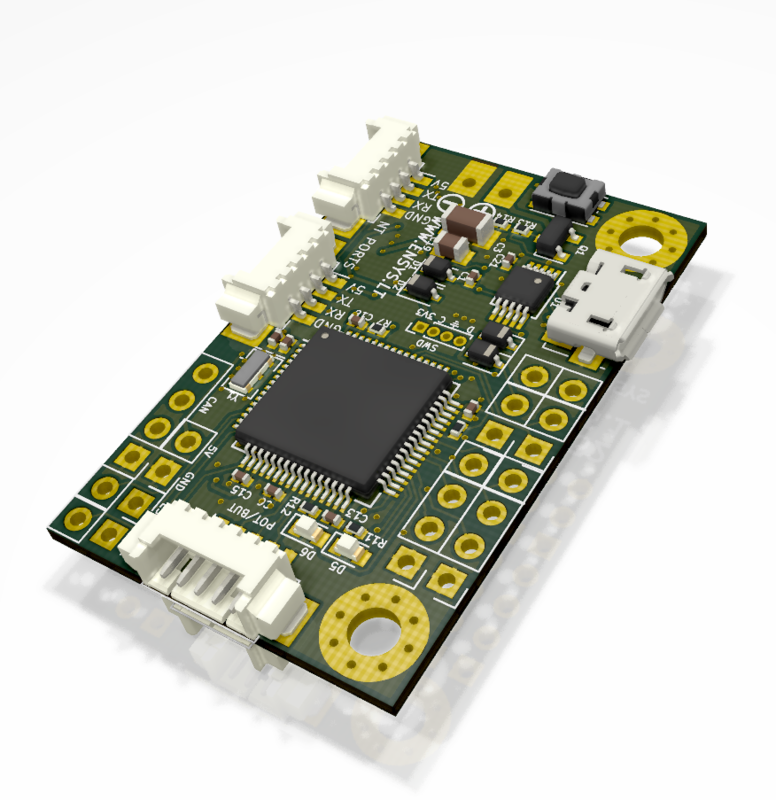 The updated design IMU modules now available. 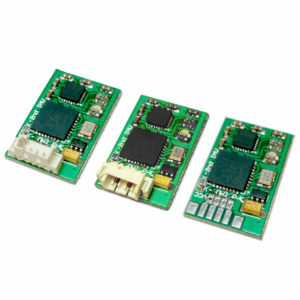 It’s now possible to customize the modules further – Choosing the connector type, calibration, including an additional wire. 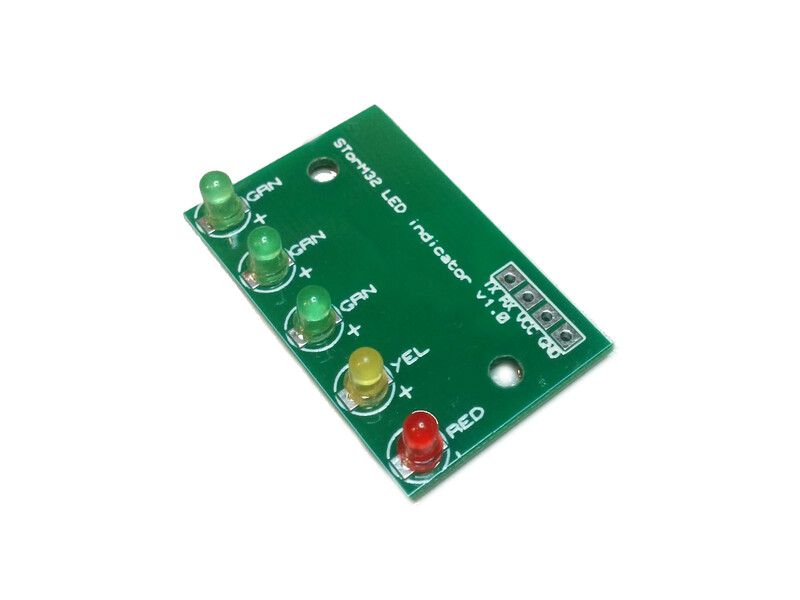 The LED battery monitor uses STorM32 controller’s UART port to retrieve battery voltage and display the state of charge using LEDs. This device accounts for voltage-charge non-linearity of lithium-ion/polymer batteries. It also displays the state of STorM32 controller. When the STorM32 is in SETTLE and LEVEL states the LEDs perform nice animations to indicate that the gimbal is calibrating. We would like to announce that we are developing a new gadget that will help the drone flyers and gimbal users. It’s a WiFI camera controller with multiple camera support. Currently we’ve developed support for Xiaomi Yi camera and code for GoPro is on the way. Sony and Panasonic camera support is also on the horizon. The basic idea is that this unit will be attached on the drone and will communicate short-range with the camera. Basically any camera with WiFI API could be supported. Also camera suggestions are very welcome. Supported camera can have focus, zoom, ISO, aperture, exposure, etc.. controls over WiFI . Currently the control signals planned are through serial bus (TX, RX) – coming directly from the flight controller over MAVLink (CAMERA_CONTROL packets, and or RC_INPUT, which allow to use RC inputs on MAVLink enabled flight controllers such as Pixhawk), STorM32-NT bus support for triggering the camera, custom simple serial protocol for programmers, controlling the camera from HTTP Web interface, RC PPM/PWM inputs in the future. The configuration of the module will be done over a web interface. Once turned on the module will work as an unsecured access point, the user will then need to connect over a smart device and access the configuration page. There he can set the Access Point password, search for other WiFI networks, connect to the camera’s network and the camera should be auto-detected and work out of the box. Firmware updates will also be super simple. The user will need to connect to a network with internet access and initiate the OTA update process via the web interface. Please post comments and suggestions what your use case would be and what camera would you like to control. We now have IMU 6-point calibration service. When purchasing an IMU module you can now select an option to order a 6-point factory calibrated IMU module, which will save you time when building your next gimbal! Calibrations are done in 25C room-temperature environment, therefore additional calibration using SToRM32 GUI utility may be neccessary if using the module in harsh temperatures. The calibration data is stored inside the module, so no additional calibration is required – It’s plug and play! Some of you may have received IMU units which are unable to calibrate properly. 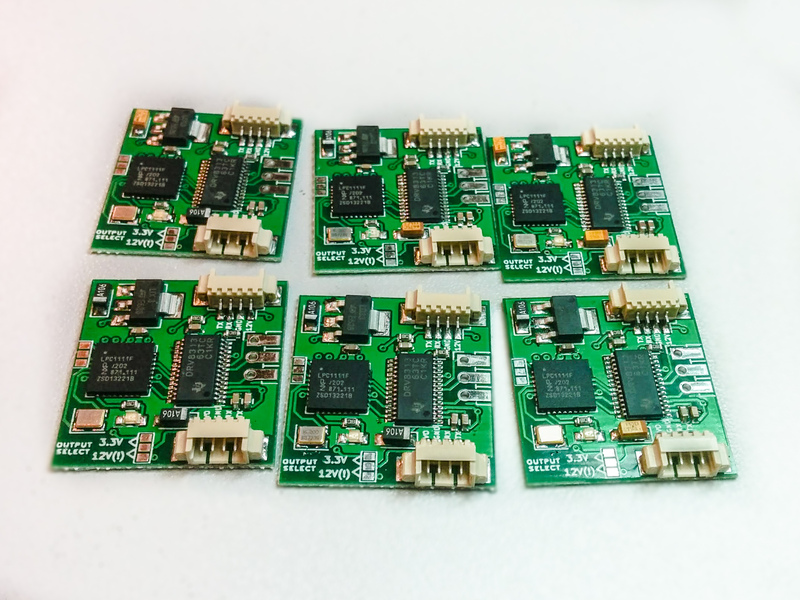 We found the cause that some older MPU6050 chips slipped in which have different accelerometer scaling register values, we did not notice this at the time, but all the new IMUs ordered should not have this problem. To fix this you will have to update the firmware on your module. To do this you will need. then short the little solder bridge on the other side of the module (labelled BOOT on v2 modules), recommend using tweezers to do it, while the module is powered. You will need to just touch and short both pins. Once done the LED should be very faintly lit, now the module is ready for flashing. 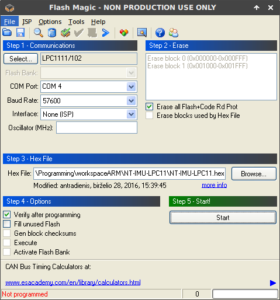 Open up Flash Magic utility. COM port will need to be set to your USB-TTL adapter. Baud rate 57600. Load up the HEX file. Now it should program and verify the firmware. If somehow you mess up, don’t worry. Short the solder bridge like before and then power up the module (while the solder bridge is shorted), the module will enter programming mode, and you can retry programming it. Download: Contact us at info@ensys.lt for firmware files. 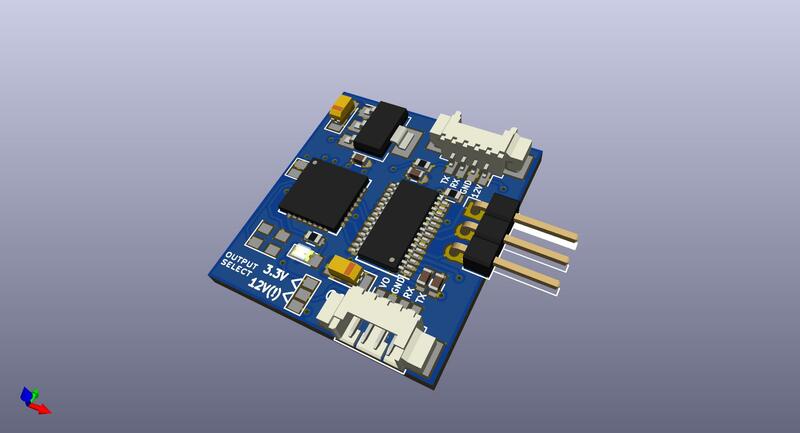 Version 2.0 IMU modules which are more compact are now available! Head to our shop to check them out. Copyright © 2019 ENSYS – Powered by Customify.